I will prosper you in the work that I have called you to do, says the LORD. For your labor is not vain in ME. I have already furnished you for every good work that I have ordained for you to accomplish for My kingdom. Everything you need is prepared in advance for you for your discovery. You have purpose and I have given you the vision. Open your eyes and see it. Open your ears and hear what I Am speaking. Open your heart and comprehend that it is MY workmanship in you and My work through you that will be productive for My Kingdom, by My power and for My glory. I have called you for such a time as this, says the LORD. I have equipped you, says the LORD. I AM all that you need. 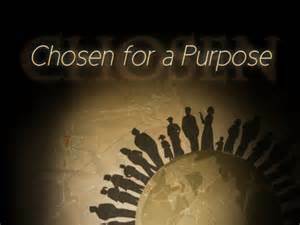 I will provision you for what I have purposed. For I never send you on a mission that will not be accomplished. I never ask you to equip yourself for the things of My kingdom. You will not need to figure out anything, for the strategy is of ME. I Am the beginning and the end, and what I do cannot be undone. What I speak shall be accomplished to the finest detail. What I call forth, I perfect and nothing can stop Me. What I declare cannot be altered or denied. For I Am undefeatable in My purposes in you and you will not be fruitless. I have ordained you to be fruitful in the land of the living, says the LORD, and you will fully satisfied and fulfilled. Amen! Glory be to God. Amen!thank you Jesus for entrusting me with the revelation of the mysteries of your kingdom. Thank you your message, and have a question, have you been baptisted by the Holy Spirit and Fire and you are a new Creation through Christ Jesus.? God bless you. Wow! Amen… Some of this I just talked to God about within the last 24 hours! A timely word.. Praise God! MY SOUL MAGNIFIES YOU LORD, AND MY SPIRIT HAS REJOICED IN YOU MY GOD, MY SAVIOR, MY REDEEMER, FOR YOU HAVE REGARDED THE LOWLY STATE OF YOUR MAIDSERVANT, HALLELUJAH, LORD TO ALL HONOR, GLORY, WORSHIP AND PRAISE, AMEN!